Founded in 1975, S&J Engines is a private business built by guys with a passion for quality and a penchant for engines. For the past thirty-five years, we have lovingly produced the highest quality remanufactured automotive and marine products at our state of the art facilities in Spokane, Washington. The latest in engine technology along with skilled machinists and committed support staff come together to give S&J's products unmatched performance and an unrivaled warranty. We take pride in the quality of our product. We know our engines are only as good as our people. We are passionate about delivering professional-grade quality to every one of our customers – from the pros to the everyday Joes. With over fifteen years average experience under their belts, our certified machinists are well-versed in both the daily demands of engines and educated on the evolution of engine technology. In addition to our saavy machinist, S&J boasts strong sales and support teams that ensures that we bring you quality in product and service – today and down the road. Remanufactured, NOT rebuilt. And yes there is a difference, a big difference. Unlike many of the products out there, our engines are not simply taken apart and rebuilt. They are painstakingly inspected, piece by piece, element by element and each component is given new life. And rather than expect yesterday's equipment to keep up with today's tougher engine tolerances, we use the latest in engine technology, tools, and expertise to transform your engine. S&J continually upgrades its equipment and training to insure the engines we produce today are equal to or better than the original. 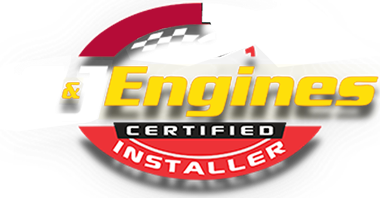 When you purchase your engine from S&J Engines you receive the highest quality remanufactured engine available from the most committed engine supplier in existence. When it is possible to do it better, we will. Here's what you can expect when you buy an S&J Remanufactured Engine. In fact, we guarantee it. Power: What’s your application? You’ll know the real-world power from your engine. We’ll make certain you are getting the right engine for your situation, be it bringing new life to your daily transportation, powering your dream project car, or having your boat churn the wake. 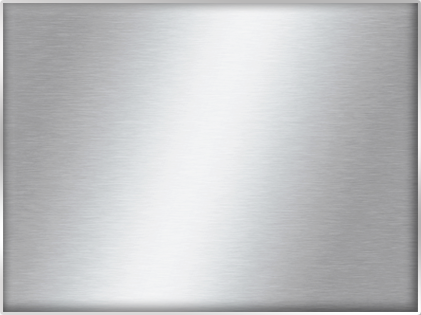 Precision: Broach cutting and diamond honing for the best possible surface tolerances. Bench testing with preheated and pressurized oil for real-world simulation. These are just two examples of our commitment to utilizing the latest technology to bring our customers the best engines and the best prices. Reliability: As a result of our stringent, state of the art processes our engines meet or exceed OEM (Original Equipment Manufacturer) specifications. Prepare yourself for the experience that a well-built engine will bring to your driving, racing or boating times. Tractability: Ease of use on a daily basis. Isn’t that what we really want in an engine? Smooth, manageable power and efficient use of every drop of fuel comes with each and every engine we construct. Count on it. S & J Engines Seven Year/100,000 mile Non-Prorated Warranty: Our unrivalled warranty proves we walk the line we talk. We build and deliver the finest engines on the market and you enjoy the security and satisfaction of knowing that your purchase is backed in writing. Getting you the right engine at the right price: The only thing worse than paying too much for a product is not paying enough for an inferior product. We’ll ask you the right questions and listen carefully to your needs to ensure you are delivered an engine that you will crow about at a price you will love! Customer Service: Questions? Comments? Call us up or send us an email. We serve people; engines are our product. S & J customers from all over the world enjoy our stem-to-stern process of customer care. Read our testimonials and contribute yours!